The Rock Chalet is located in the ski-lift of the Rock at the foot of the bobsleigh track. 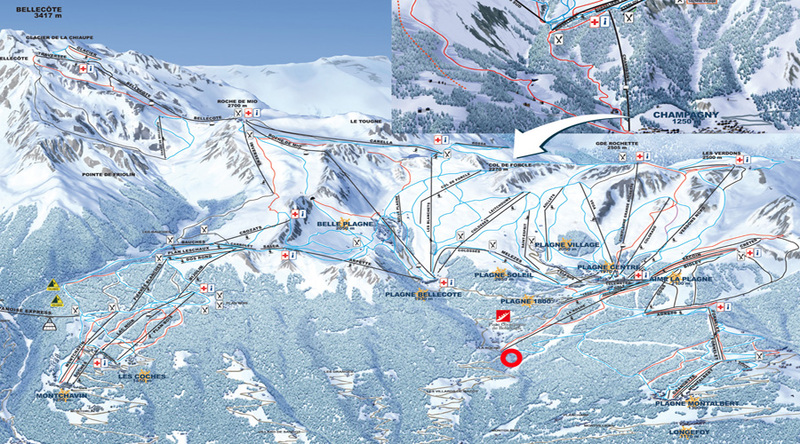 With direct access to the ski area of La Plagne. The team of chalet welcomes you in a warm atmosphere around the fireplace. Moderated by Andrea, the Italian Chef, Food in the Rock Chalet will seduce you with its fresh pasta, famous pizzas (truffle specialties to taste absolutely!) Grilled meats and mountain specialties. Here, the cooking is homemade ! It is also a unique terrace for sunbathing or sweets in the afternoon, a typical and cozy interior to warm up around the fireplace. The cottage is tastefully decorated! Its setting and atmosphere stand out the mountain chokes. The service is impeccable, and the service friendly and invested owners. Accustomed to the resort and guests like to gather regularly for a friendly and gourmet moment. - Accessible on foot, by ski and by car.